Get set for summer at this CHARMING BEACH COTTAGE! Solid MID-CENTURY MODERN HOME THAT CAN STAND THE TEST OF TIME. 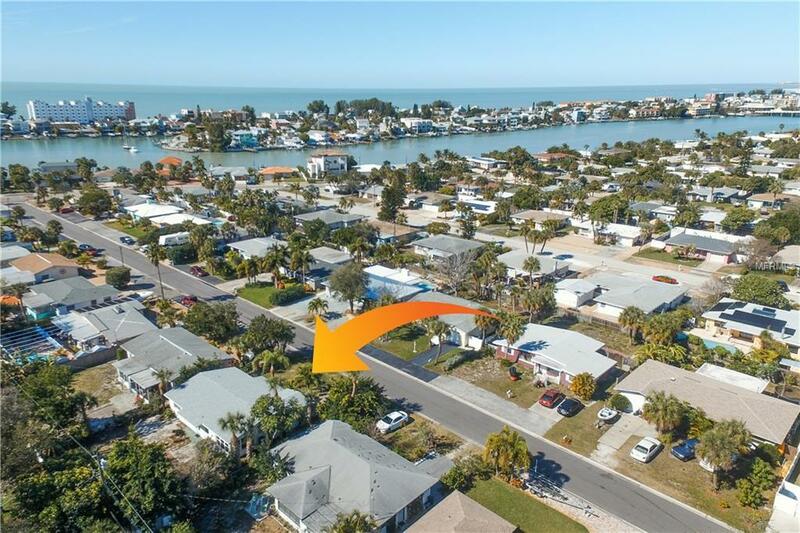 Located on the sunny island of St Pete Beach, this petite paradise is located so close to the water you can smell the salty air and hear the caw of seagulls. 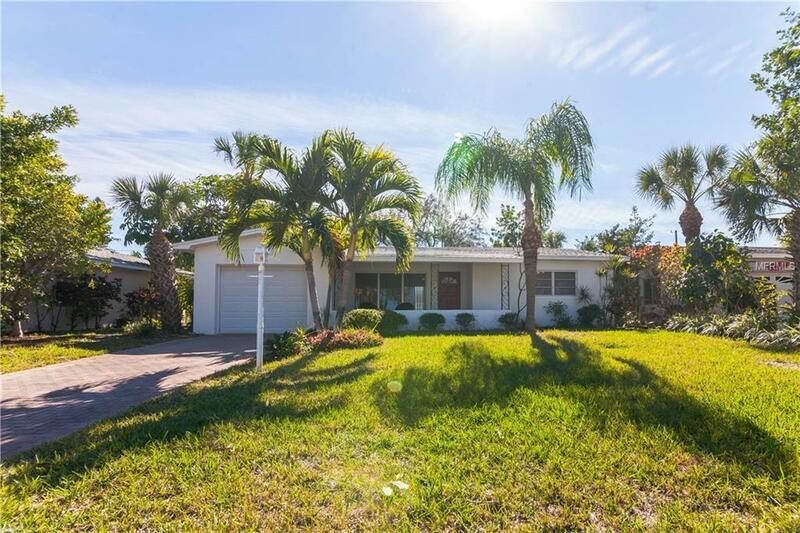 The large front porch overlooks tropical landscaping and mature palms. This cozy coastal home is 2 bedrooms, 2 bath with 1 car garage (second bathroom is in garage). 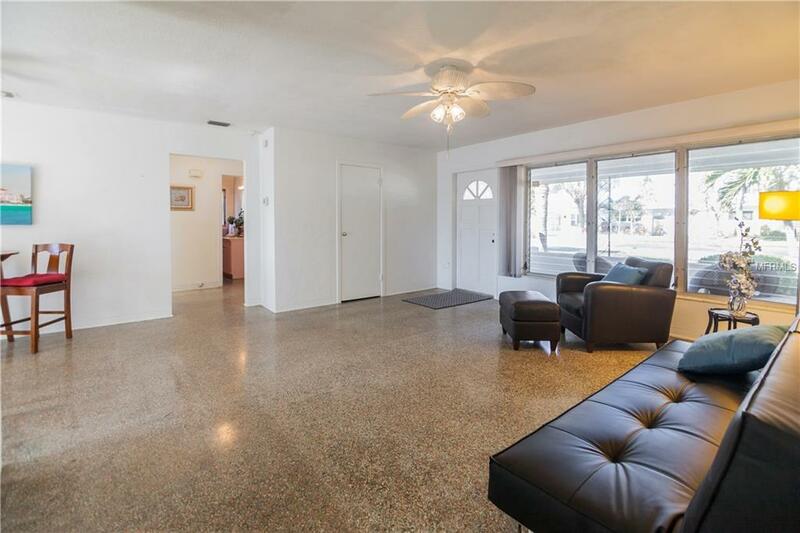 Terrazzo flooring throughout, roof replaced 2017, HVAC system replaced 2018. 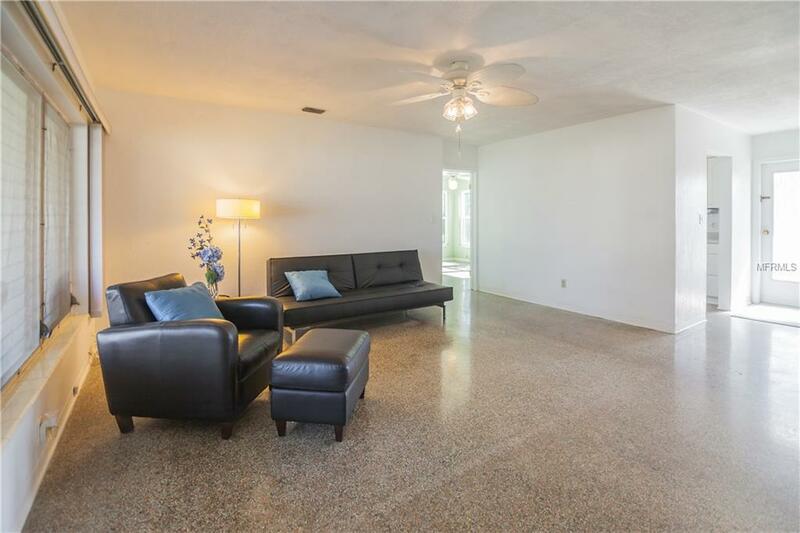 Large living space! Bonus den off the kitchen with lots of newer windows to let the sun shine in. This retro beach home is located within steps to some of St Pete Beach's best casual "come as you are with sand on your feet" seafood restaurants, waterfront open air establishments, St Pete Beach Community Center, St Pete Beach Community Pool, shops, brewery, beach trolley stop, boutiques and the award winning white sandy beaches of St Pete Beach.